Texas teachers will get to the science of agriculture this summer. Teachers will get a first-hand look at agriculture and how to incorporate agricultural concepts into their course curriculum through Texas Farm Bureau’s Summer Ag Institute. For 25 years, the Summer Ag Institute has helped take the mystery out of agriculture for Texas teachers. The Summer Ag Institute, a four-day professional development seminar, is set for June 3-6 at TFB’s Conference and Training Center in Waco. Teachers get their hands dirty, encounter real-life experiences and learn ideas about agriculture to enrich students in their classrooms. “The program gives teachers the tools to help students explore every part of Texas agriculture,” Mason said. 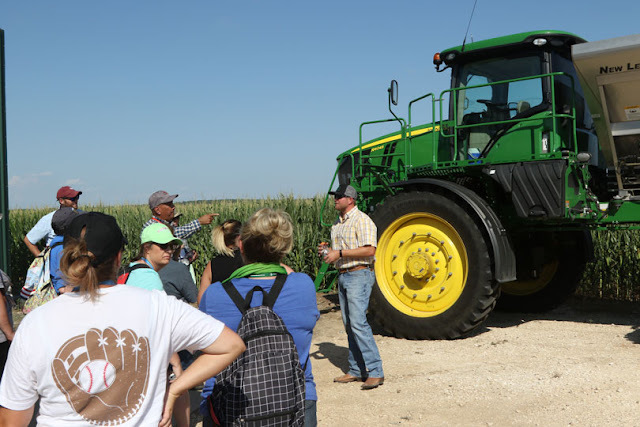 Teachers will make connections with farmers, ranchers and industry professionals. The program will include hands-on activities with a science-focus and field trips. Participating teachers will explore soil and plant science. They’ll also discuss entomology, dairy, beef and more. Teachers are eligible for 36 hours of professional development after completing the program and will receive curriculum to take back to their classrooms. Applications for the Summer Ag Institute can be submitted online and are due by April 18. The online application and more information can be found on texasfarmbureau.org/aitc. The cost is $375 per person in addition to travel, but Mason noted county Farm Bureaus may sponsor a scholarship for food, lodging and tuition.